She explained, “Breakthrough100 sees 100 of Scotland’s most dynamic, focused and generous-spirited women join forces with Breakthrough Breast Cancer in Scotland, with the aim of raising £100,000, £1,000 each, to help make sure that breast cancer becomes a non-life-threatening disease in our lifetime”. I said that I would happily help promote such a great idea but that I would struggle to find time to participate in the fundraising. One launch meeting later I find myself signing up to raise £1,000. One meeting at Holyrood and a glass of wine later I find myself suggesting that I walk around Scotland! I am MD here at the3rdimagazine, I am also an independent consultant supporting co-operative enterprises and sit on a number of boards as a non-executive director. None of these roles involves me going into an office and so the options of a bake sale or raffle or dress down Friday just wasn’t open to me. Well two things I do well – walking and talking. And as luck would have it I can do both things at once so the idea is this: Breakthrough100 was launched at Indigo in Glasgow and Adams & Co. in Edinburgh so I decided to walk from one city to another. But being the masochist that I am, I’ll do so via Fort William, Inverness and Aberdeen. Scotland has some fantastic long distance footpaths. Over the years I have walked some or all of most of them. What I have never done is started at one end of the path and walked continuously to the other end. In the past, to fit in with family commitments, I have walked for two or three days at a time, mainly over weekends, and then taken a break until the next weekend. I then completed a further stretch of the path, and so on until the route was completed. In this way I completed the Southern Upland Way. 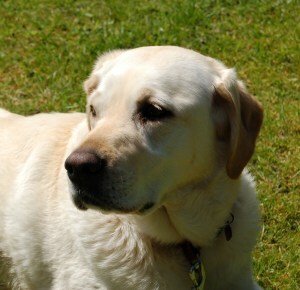 Or I have done day walks with Lola based from my home in Crieff. I completed the Rob Roy Trail like this. This time I will start at Milgavie and walk the length of the West Highland Way to Fort William. From here I’ll walk the Great Glen Way to Inverness. Then I’ll take a lift to Aberdeen to connect with the North Coastal Trail and walk south towards Dundee. Here I’ll connect with the Fife Coastal Path for the final section of the walk to Edinburgh. You can see the complete route here. All in all it is around 350 miles.The aim is to complete the whole route in the month of May. While I love walking and the thought of raising £1,000 for such a worthwhile charity is fantastic, I thought that I could, no should, do more. One of the things that I get asked to do in my working life is to speak to women, about my entrepreneurial journey. Over the years I have grown a number of very successful businesses and I am happy to share my experiences in order to inform, inspire and, I hope, entertain other women. Conventionally this takes place in hotels and meeting rooms across the UK, but why not share my life journey while I take this new journey? So I’ll be inviting anyone who wants to learn from my business life to join me along the way, for anything from a few hours to a few days, and I’ll coach and mentor and advise as we walk through the beautiful Scottish countryside. Far better than a stuffy meeting room and far cheaper! And my visitors get to meet Lola! Added to that I am delighted to have the support of the Association of Scottish BusinessWomen (ASB) in this adventure. In exchange for members feeding and watering me and Lola along the way I’ll give talks to affiliated groups along the route, as part of the ASB’s commitment to fostering enterprise in Scotland. And I’m a committed supporter of co-operative business models and happy to talk to groups and schools along the way. Karen has already had some donations and offers of help but still needing lots more, so please, if you can, give us a hand. Brilliant idea. If I were on route would have loved to host. Lola is adoreable. Will mail about joining a walk and try to spread the word. Fantastic activity. I will be racking progress, of course, but the very bes of luck “on the road” for such a worthy cause. Very much walikng your talk as always..